After Huge Success in Smartphone Operating System and Smart devices Google have launch their New product called Google Glasses. 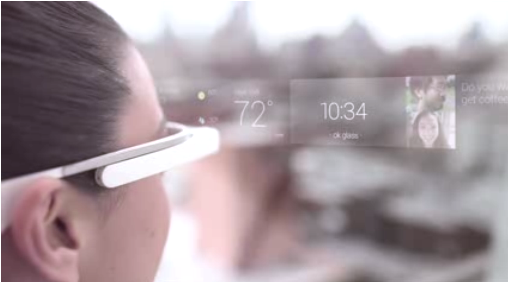 Where this glasses would be smart enough to guide you and give day to day report to you. Google Glass comes with Projected Display where this display would show all information to you whichever you want, Camera and a Data connection such as Mobile Network Internet. World is changing with Smartphone, People Love Small Smart devices with Projected Graphical Interface. Google Glass has many features like your Head detection such as if will automatically turn off when it has been removed from your eye contact. You can easily adjust your Volume control up and down, Adjust Brightness But Bluetooth and Wi-Fi is always turned ON. They have Introduced an app for Google Glass, where in you can easily configure your Google Glass using currently this not available (Only 10 members are allowed). This App enable Google+, Gmail, Google Map, Path and many apps inbuilt.